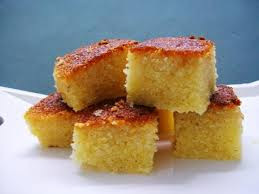 A delicious Indian cake recipe made with sooji or rava. The recipe involves baking in an oven. Alternatively, you could also use a microwave or cooker. Preparation Time-15 min. Cooking Time- 25min. Take sooji, baking powder, baking soda into the mixing bowl. Add curd, cream, sugar Chocó chips and vanilla essence to it and mix well.